Aquarium. Translated literally from the original Latin, it means "boredom box". Every day, thousands of aquariums are completely ignored by passersby in our nation's dentist offices and Chinese restaurants. They are also popular suicide destinations for little plastic scuba men. Aquariums are mainly known for making homes smell funny and, sooner or later, winding up empty out in the garage. An Aquarium In Action seeks to change all that. A rallying point for aquarium owners, or aquarists*, the film demonstrates just how exciting these bacteria farms can be. It does so by simulating the experience of staring at an impressively ordinary grade school aquarium for an extended period of time. 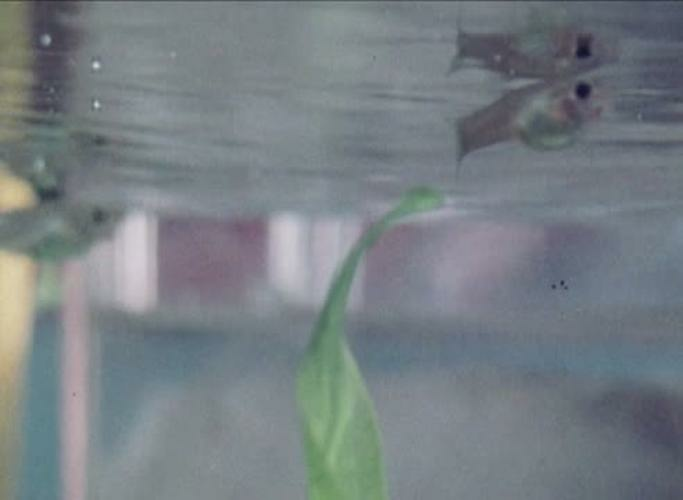 Shiver at the intense action as the children struggle to save baby guppies from certain death in the maws of their own parents. Then watch the children wonder why they bothered saving these ugly little things in the first place, when seeing them devoured would have been much more awesome. 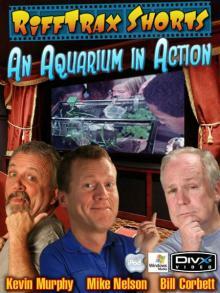 Join Mike, Kevin and Bill as they see who can lick the most scum off the sides of An Aquarium In Action!